My friends have a frame business and they make these beautiful frames. I have collected a few from them and finally got around to printing my kids photos and hanging them in a big collage (which means I got to check off something from my 2012 To Do List). They are so fun. I couldn't decide on a color so I just did some white, one cream and two black. I love, LOVE the big (French Vanilla) scalloped one. It's an 11x14 and it is just really so beautiful. Go check them out. Their company is Silver Leaf Frames. They have a lot of different styles to choose from, as well as many color options. 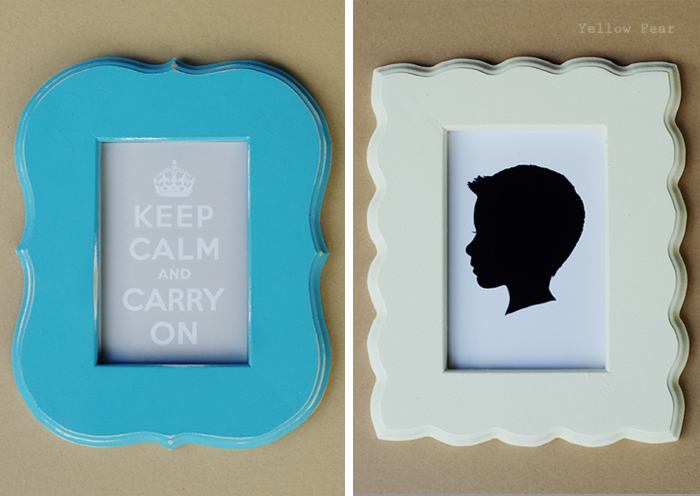 You can even order a primed-only frame and receive a 10% discount and paint it yourself. Contact them specifically for a primed-only frame. 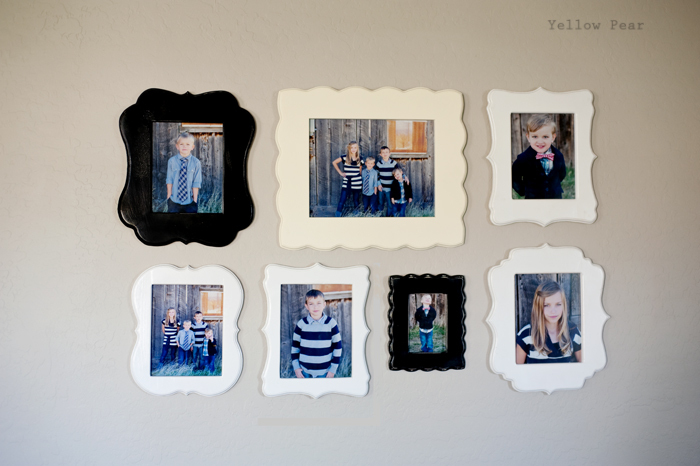 Also, if you mention Yellow Pear, you will receive $5 off any frame of your choice.